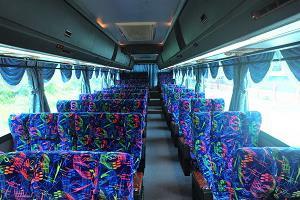 Eltabina Jaya Express was established in 1992 and they have been in the express bus market in both Singapore and Malaysia for more than 20 years. Eltabina Jaya Express specializes in offering express bus service from Kuala Lumpur to Singapore and returned service Singapore to Kuala Lumpur. Recently they also expanded their service to provide express bus from Singapore to Seremban, from Singapore to Ipoh, as well as returned service. 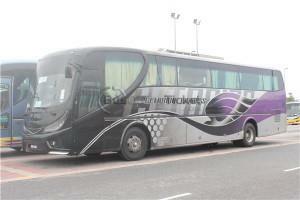 Two types of coaches are employed to serves the routes, namely 27 Seater Super VIP coach and 37 seater Double Deck coach. Eltabina Express coaches have a reputation of providing efficient, comfortable, convenient and safe journey to destination for their passengers. Eltabina Express departure point in Singapore is located at Textile Centre, Jalan Sultan, which is conveniently located near the Nichol Highway MRT station (within 5 minutes walking distance). As for the alighting point in Kuala Lumpur, you may choose either Terminal Bersepadu Selatan(TBS) or Piccolo Hotel at Bukit Bintang because the coach goes to both alighting points. Arrival point for Ipoh are at Medan Gopeng and at Bercham, and arrival point for Seremban is at Seremban Terminal 1.